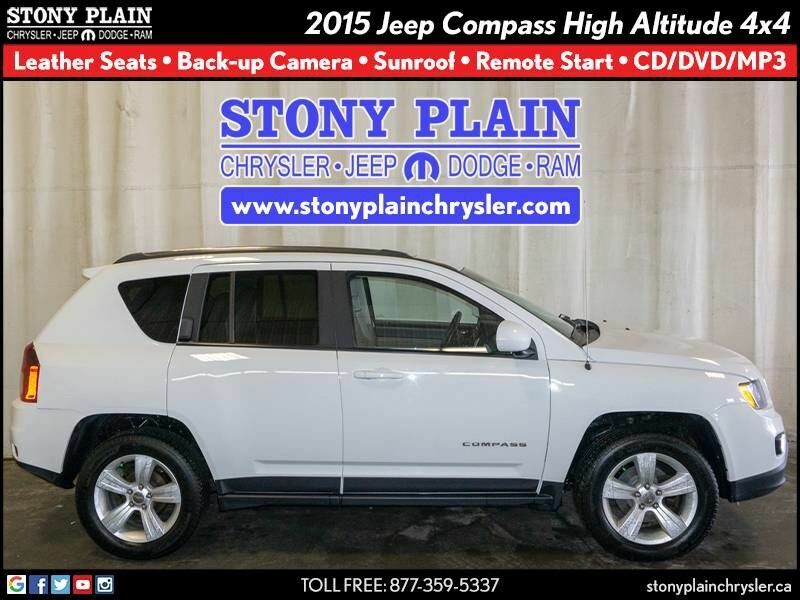 You can find this 2015 Jeep Compass High Altitude 4x4 SUV and many others like it at Stony Plain Chrysler. This versatile SUV is perfect for families or contractors with its oversized cargo area, exceptional horsepower and option upgrades. No matter the terrain or weather, you'll drive at ease in this 4WD-equipped vehicle. With exceptional safety features and superb handling, this 4WD was engineered with excellence in mind.